With the winter holidays quickly approaching, every graphic designer starts to search for ways to spruce up his projects and give them an element of jolly holiday spirit. Christmas is a time when family and tradition intertwine in a timeless embrace where miracles happen and dreams come true. This is the exact feeling graphic designers aim at recreating through their design. In order to create the right Christmas feel, design experts use a complex combination of color, shape, and symbolism, combining them into a recognizable and memorable concept which reflects the essence of the Christmas time. This article will guide you through the process of creating a compelling Xmas design project which speaks to your audience and makes a mark. Recreating the holiday spirit through typography is an impossible without the right text effect to compliment your design. While using a striking typeface is essential in most design branches, when it comes to Christmas, the text style seems to dominate the font choice.Christmas is typically being associated with graphic design elements such as color and patterns while fonts are being generalised into two basic categories: calligraphy & serif fonts. While Sans Serif has a clean, modern look, the Christmas style is typically associated with vintage typefaces. Yet, applying a font with contemporary look is not excluded in cases where the whole graphic concept aims at minimalism rather than traditionalism. Applying a matching background to your Christmas design is a fundamental part of creating a great Xmas design. In order to create a compelling art project which accurately reflects the holiday spirit, designers must keep up with building a festive without cluttering the design with additional elements. Patterns & Textures play a crucial role in creating the right feel of a Chrismas-focused design. The Xmas style is associated with textures and pattern images which have a rather vintage feel and grant a feeling of joyful festivity. Choosing the right texture or pattern for your Christmas design depends on its overall style. Images which use bright red and deep green as founding colors are the most common choice for holiday designs. No matter if it’s a striped pattern or an element composition, every image which contains these colors and carries the symbolism of the holidays through matching visual elements can be a great choice for a holiday-inspired design. Photo Sets & Collages are an important part of the creation of a compelling Christmas design. In order to correctly reflect the holiday spirit, the collages and photo sets, used as a background for the main design, should be compiled by symbolic elements which represent the festivity and spirituality of Christmas. Such symbolism can be found in the beautifully decorated branches of a pine tree, the glowing Christmas lights in a gloomy, wintry night, the crackling warmth of a fireplace or the joyfully falling snowflakes which steadily layer on the hills of a whimsical mountain. Designers can easily vogue up their graphic designs and give them a touch of joyful festivity with the use of various types of illustrations. Clip art, vector images and all other sorts of graphic images which carry the Christmas symbolism can aid any project by giving it a holiday feel. The most commonly used graphic illustrations which reflect the festivity concept represent images which are closely connected with the winter holidays. Such images may be a happy snowman snuggled in the snowdrifts, a joyful crowd of children playing in the snow, a bag of colorful Christmas presents or even a group of deers, gracefully crossing the night skies. 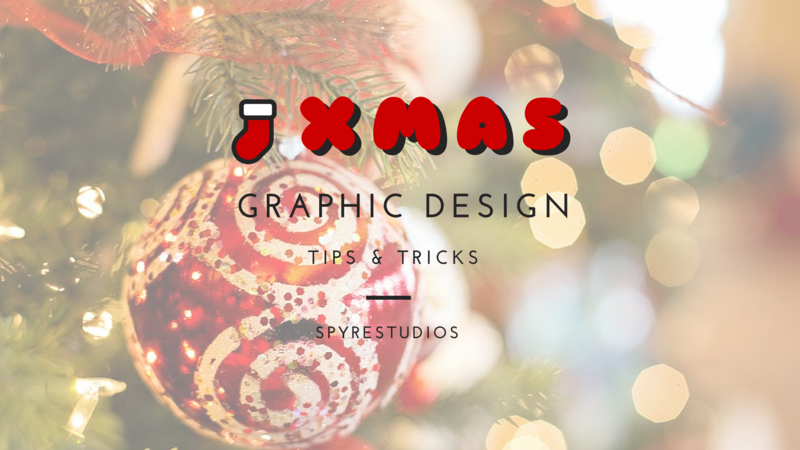 Creating a compelling Christmas graphic design is a process of gathering inspiration and intertwining ideas with elements of traditions and symbolism. Each and every Xmas design aims at reflecting the holiday style and bringing joy to viewers. By successfully combining various graphic elements which carry the holiday spirit, designers can create appealing and memorable designs which speak to their targeted audience.